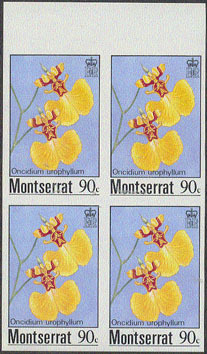 7325 ND MONTSERRAT (1985) Oncidium urophyllum*. Imperforate margin block of 4. Scott No 554, Yvert No 565. 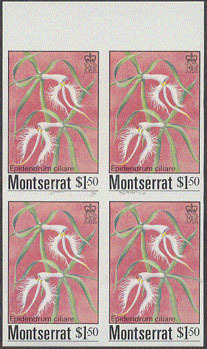 7326 ND MONTSERRAT (1985) Epidendrum ciliare*. Imperforate margin block of 4. Scott No 556, Yvert No 567. 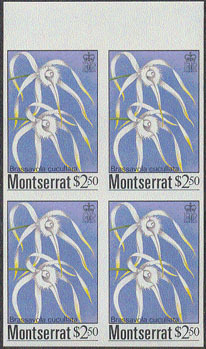 7327 ND MONTSERRAT (1985) Brassavola cucullata*. 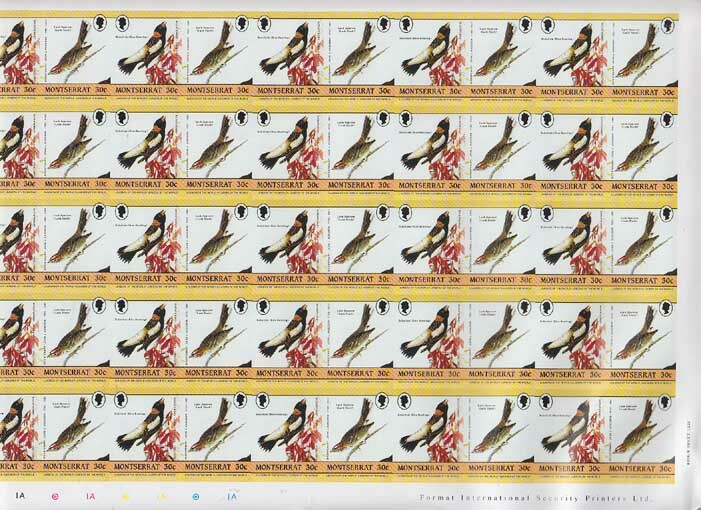 Imperforate margin block of 4. Scott No 557, Yvert No 568. 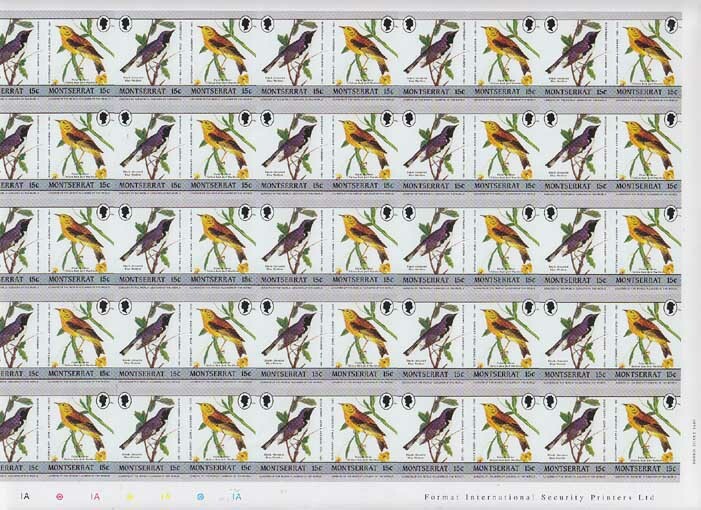 15669 ND MONTSERRAT (1985) Black-throated blue warbler*. Palm warbler*. Full sheet of 25 se-tenant pairs. Scott No 580, Yvert Nos 588-9. Audubon centennial. 15670 ND MONTSERRAT (1985) Bobolink*. Lark sparrow*. Full sheet of 25 se-tenant pairs. Scott No 581, Yvert Nos 590-1. Audubon centennial.